In Tibet, the stark Semo La road is over 20,000 feet (6.100 m) high and takes you through hauntingly beautiful vistas and a treacherous mountain pass. 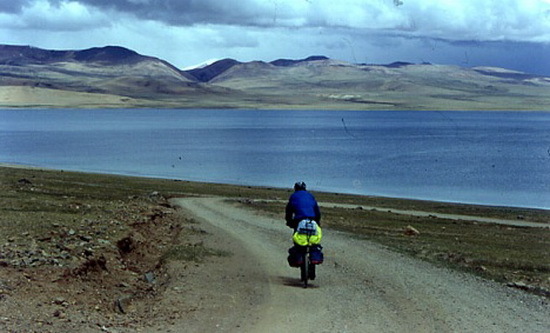 Word has it that Marsimik La is the highest road on earth; but it all comes down to what one might consider an accessible road. Semo La can be used by vehicles. Authorities believe there may be other, higher roads, even more remote, but so far they have not been documented. Lukunsky grove is the northernmost forest extension in the world. Ary-Mas to the west from Lukunsky grove is the northernmost isolated forest island, though located approximately 6 kilometres more to the south. The only tree-form species of Lukunsky grove is Dahurian larch, but in total there are 268 species of plants, 78 species of birds, and 16 species of mammals. The species composition shows that Lukunsky grove is rather a part of taiga and not tundra. Separate Dahurian larch trees grow up to 5 - 7 metres tall. 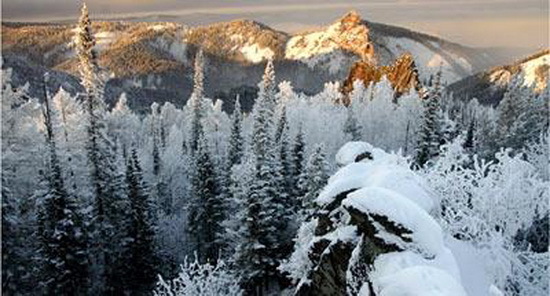 The Lukunsky grove forms a northern part of wider forest massif extending for hundreds of kilometres to the south. 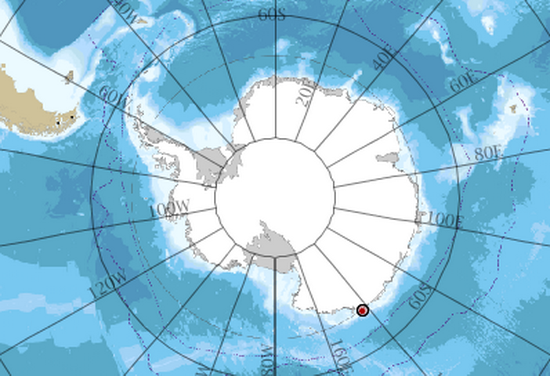 The Bentley Subglacial Trench in Antarctica is phenomenally thick ice, going 8,383 feet (2.555 m) deep. It’s the lowest point on earth that isn’t covered by ocean (-2,555 meters (-8,383 ft)) , but the honor still goes to the Dead Sea for lowest point, as the Dead Sea is technically “on” land and the Bentley Trench is technically covered with water (ice). The trench is the same size as Mexico. 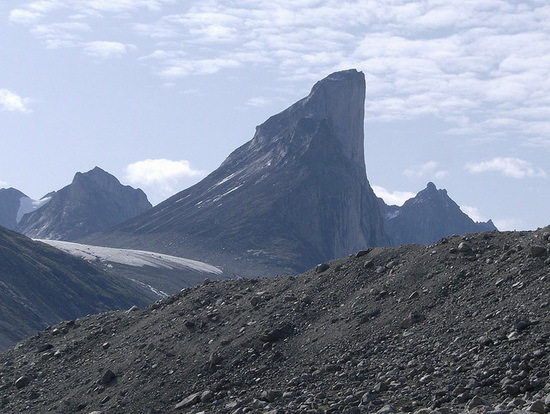 Mount Thor, in Auyuittuq National Park on Baffin Island, Nunavut, Canada, presents a 4,100 ft (1.250 m) pure vertical drop. Mt. Thor is Canada’s most famous peak, and it’s made of pure granite. It’s a favorite of thrill seekers and climbers. There have been a few recent rappel expeditions, with one fatality in 2006. A pole of inaccessibility marks a location that is the most challenging to reach owing to its remoteness from geographical features that could provide access. The term describes a geographic construct, not an actual physical phenomenon, and is of interest mostly to explorers. 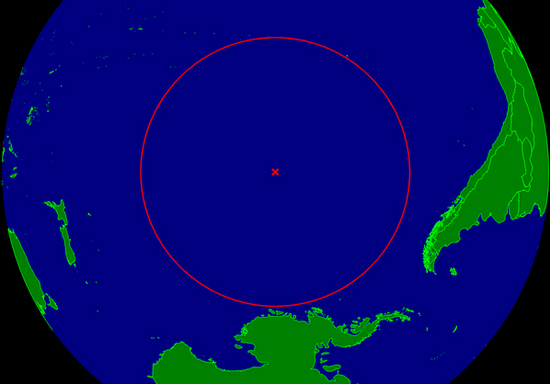 The oceanic pole of inaccessibility (48°52.6′S 123°23.6′W) is the place in the ocean that is farthest from land. It lies in the South Pacific Ocean, 2,688 kilometres (1,670 mi) from the nearest lands: Ducie Island (part of the Pitcairn Islands) in the north, Motu Nui (part of the Easter Islands) in the northeast, and Maher Island (near the larger Siple Island, off the coast of Marie Byrd Land, Antarctica) in the south. 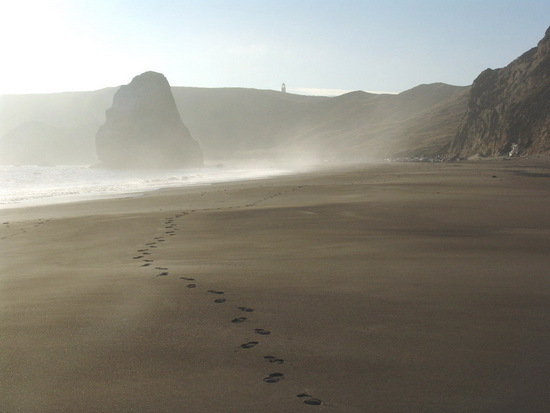 Chatham Island lies farther west, and Southern Chile in the east. This location is also referred to as "Point Nemo", a reference to Jules Verne's Captain Nemo. 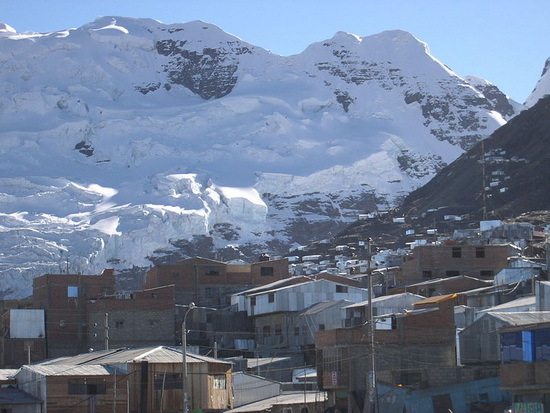 La Rinconada is a city in the Peruvian Andes located near a gold mine. It is considered to be the highest city in the world. The city is located in the Ananea District, San Antonio de Putina Province. It lies at a height of 5,100m (16,732.28 feet) above sea level. Near La Rinconada there is the Laguna La Rinconada. The population has grown from the year 2001 to 2009 by 235% to 30,000 inhabitants. But, unofficially, highest permanent settlement is Kungi village in India (5.219 meters or 17.122 ft). Commonwealth Bay is officially listed in the Guinness Book of World Records and the Eighth Edition of the National Geographic Atlas as being the windiest place on Earth – and to make matters even worse, it’s located in Antarctica. Forget about the occasional gust, the winds at Commonwealth Bay are strong, steady, and blow at 150 mph (240 km/h) – or more. Australian antarctic explorer Douglas Mawson established the main base of the 1912 Australasian Antarctic Expedition expedition at Cape Denison, at the mouth of Commonwealth Bay. Presumably he did this on a rare windless day; otherwise he must have been insane. Bolivia’s Salar de Uyuni was formed from several prehistoric lakes that converged and dried, leaving a salt pan several feet thick or more over a 4,086 sq mi (10,582 sq km) expanse. 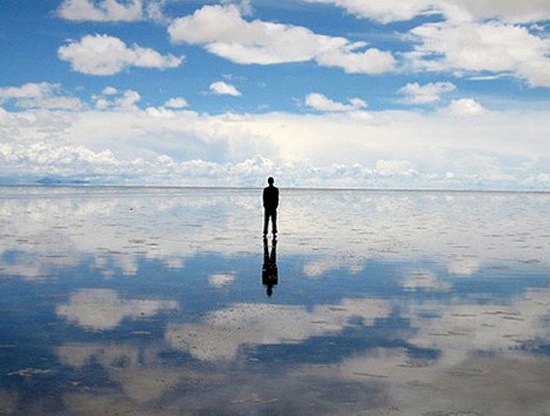 Think of Utah’s Bonneville Salt Flats multiplied by 25 and you’ll get an idea of how large the Salar de Uyuni is. Certain rare elements are concentrated in the various salts that make up the Salar, especially the strategic metal Lithium – up to 70 percent of the world’s lithium reserves are locked in the Salar’s salts! 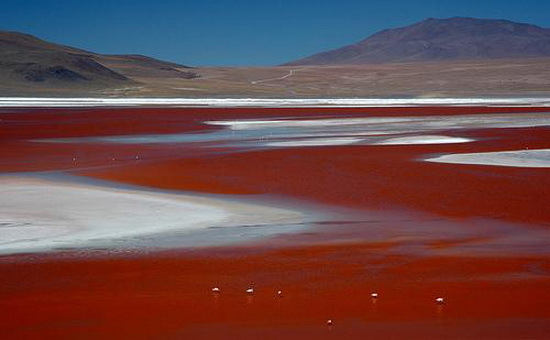 Normally dry and virtually lifeless, the Salar de Uyuni comes alive each November when summer rains attract flocks of pink flamingos, who feed on red algae and brine shrimp. At these times, the Salar becomes even flatter – in effect, it becomes a virtual mirror orbiting satellites use to calibrate their distance measurements. Lake Titicaca is a lake located on the border of Peru and Bolivia. 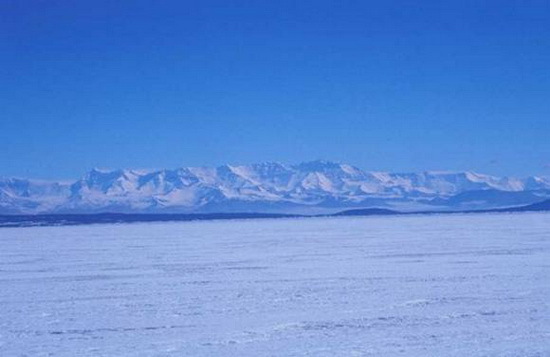 It sits 3,811 m (12,500 ft) above sea level, making it the highest commercially navigable lake in the world. By volume of water, it is also the largest lake in South America (Lake Maracaibo has a larger surface area, but it is often disregarded as it is directly connected to the sea). 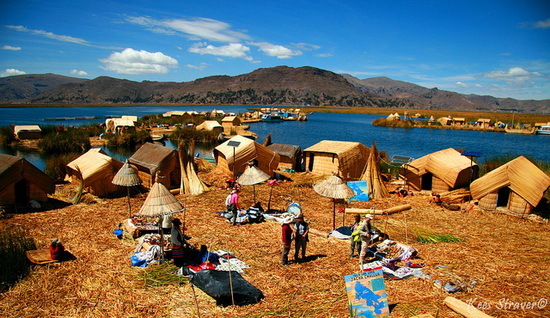 Titicaca is notable for a population of people who live on the Uros, a group of 44 or so artificial islands made of floating reeds (totora, a reed that abounds in the shallows of the lake). 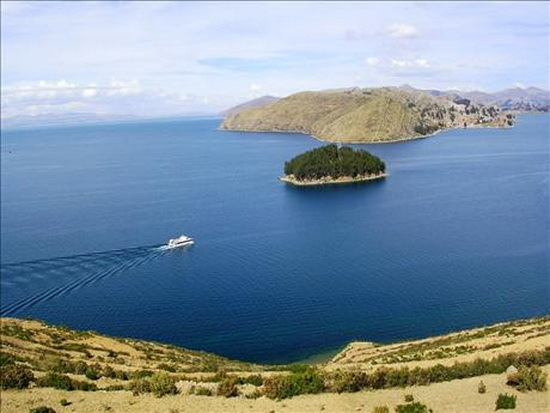 These islands have become a major tourist attraction for Peru, drawing excursions from the lakeside city of Puno. Their original purpose was defensive, and they could be moved if a threat arose. Many of the islands contain watchtowers largely constructed of reeds. 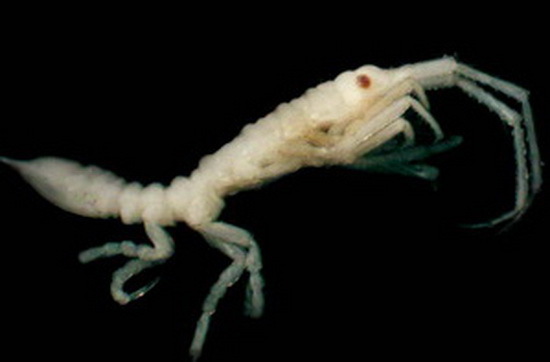 At a thermal vent 3 km below the surface in the equatorial Atlantic, Census researchers found shrimp on the edge of fluids billowing from Earth’s core at this unprecedented marine recording. This is a temperature that would melt lead easily. Although the species resemble those around other vents, scientists want to study how, surrounded by near-freezing 2ºC water, their chemistry allows them to withstand heat bursts that approach the boiling point – up to 80ºC. Pre-cooked for your convenience!